Supporters of these potency limits say more research needs to be conducted in order to determine what is a “safe” level of the drug, as the health impacts of consuming high concentrations of the drug are largely unknown. However, opponents say the 17 percent figure is arbitrary, and perhaps even “unconstitutional.” The proposal failed to garner enough support to pass this most recent session, though it is certainly not considered a dead issue, by any means. Colorado being the first state to legalize the drug for recreational purposes, it makes sense that it would be the first state to grapple with this issue of potency. Those who are familiar with the marijuana business industry say that if there were to be a government limit on potency, it would likely result in a boost to the black market. People would seek the stronger strands from illegitimate growers or else cultivate them personally. Some of the recent state-licensed testing facility measures show cannabis flowers with a THC content of as high as 32 percent. Meanwhile, in most other states where the drug remains illegal, the plants are cultivated with low-grade potency that is usually only in the single digits. Still, nationally the average THC content discovered in confiscated marijuana has been climbing sharply in recent years. Back in the 1990s, the average THC content in marijuana seized by law enforcement officials as 3.7 percent. That’s according to the National Institute on Drug Abuse. By 2013, the national average was at 9.6 percent. A separate analysis conducted by the U.S. Drug Enforcement Administration revealed that from 1995 to 2014, the potency of marijuana seized by the federal government rose from 4 percent to 12 percent. Both of these figures still are much lower than what testing facilities are discovering in Colorado and the handful of other states where the drug is now sold for recreational purposes. Our marijuana attorneys understand the potency of these strains strike users who are inexperienced especially hard. Illustrating this is the fact that emergency room visits for marijuana-related ailments spiked 44 percent from 2012 to 2014, from 70 to 101. Of course, those visits weren’t solely due to high potency, but it’s certainly part of the issue. 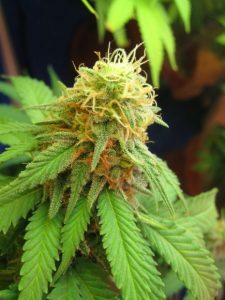 On the one hand, there is a demand for higher potency marijuana, particularly among those who are very sick and may have used the drug for a long time. These individuals need higher concentrations of THC in order for the drug to still be effective, as they’ve built up a tolerance. But on the flip side, there are those who prefer strains with higher concentrations of CBD, a non-psychoactive element of the drug that helps to treat conditions like epilepsy. In the end, it’s all about growing marijuana that is safe, effective and meets a variety of personal needs.